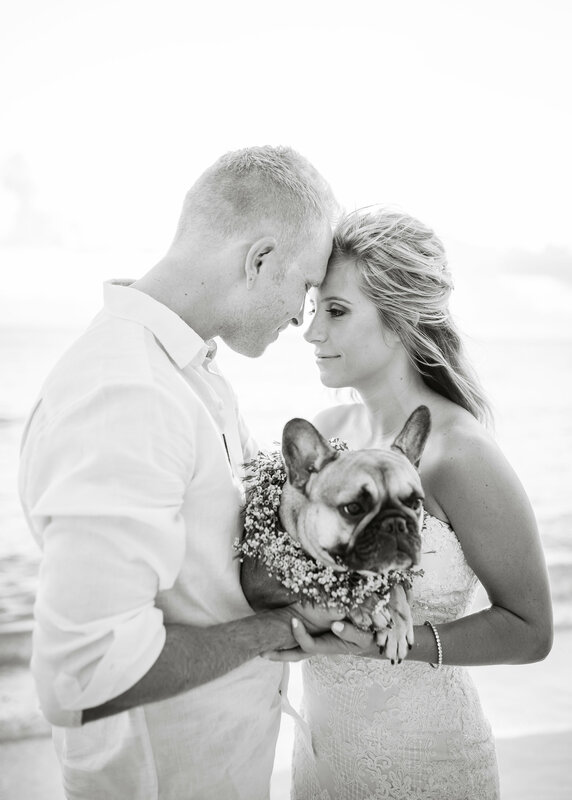 So happy to share this gorgeous couple plus their sweet little fur-baby with you this week! 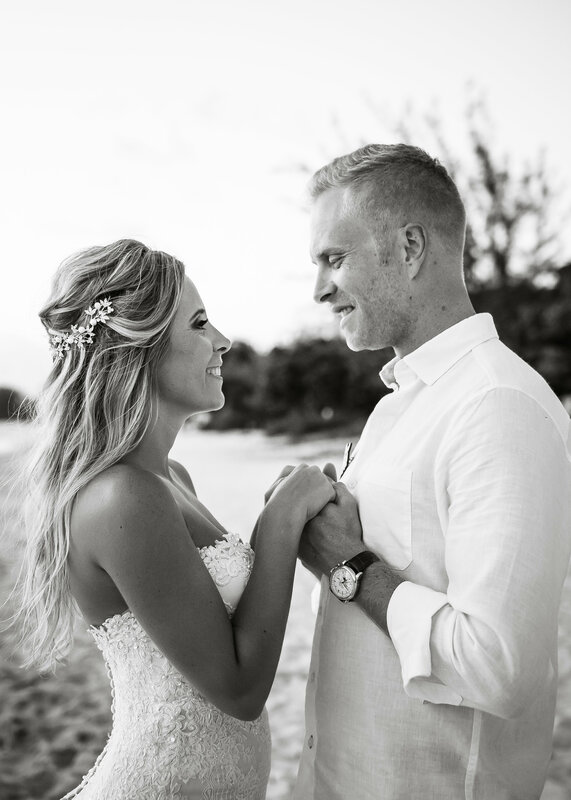 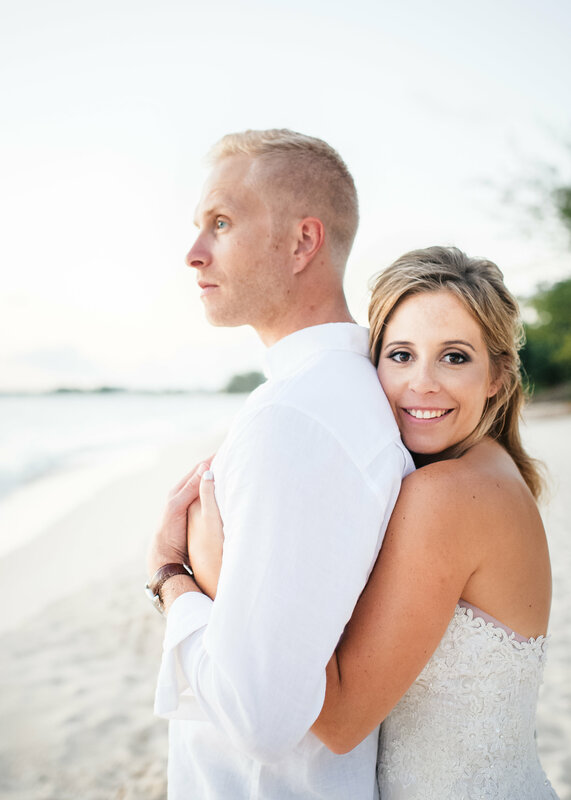 Jenavieve and Gareth were married in South Africa , but live in Cayman full-time. 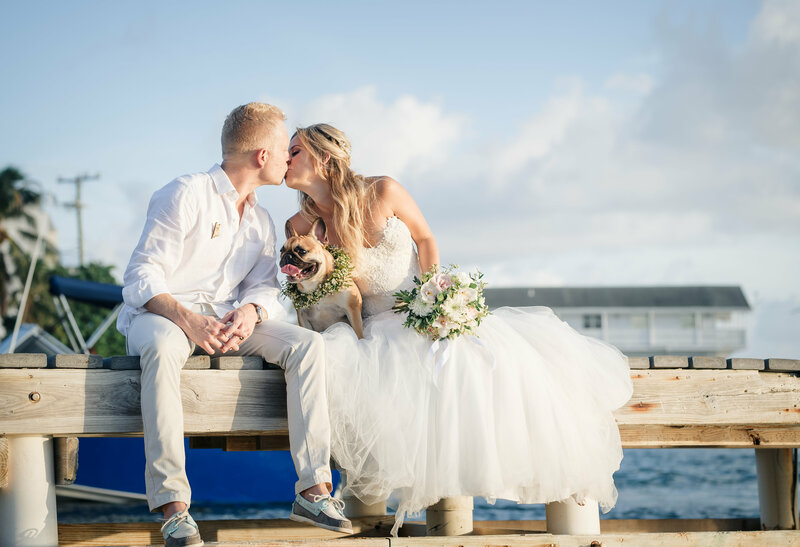 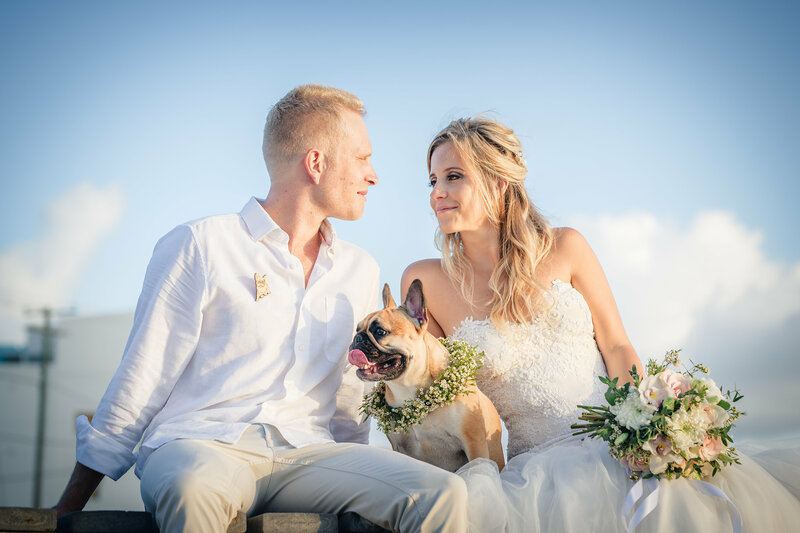 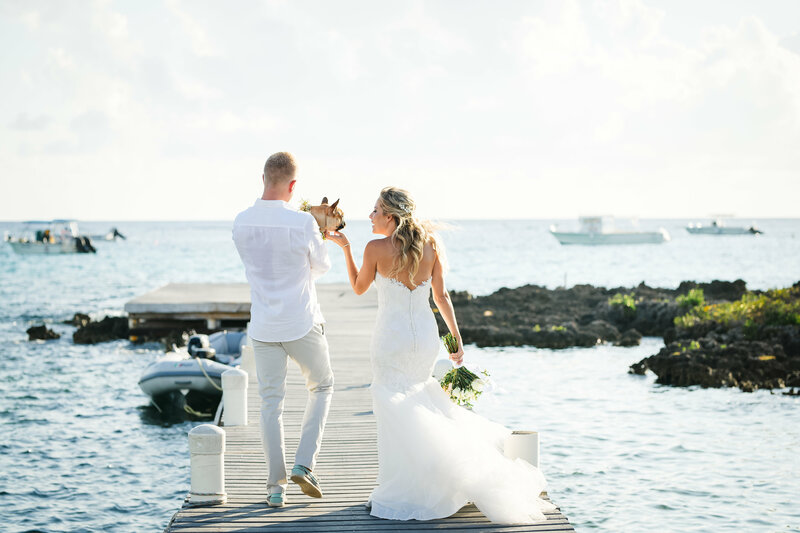 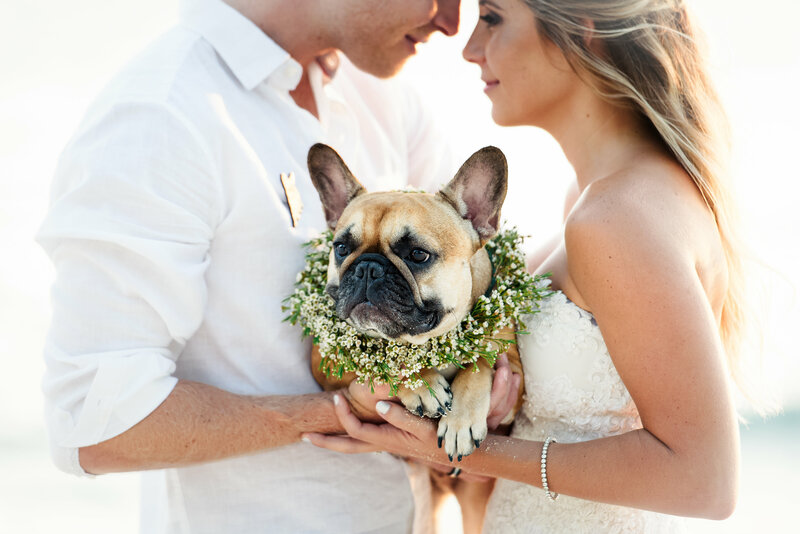 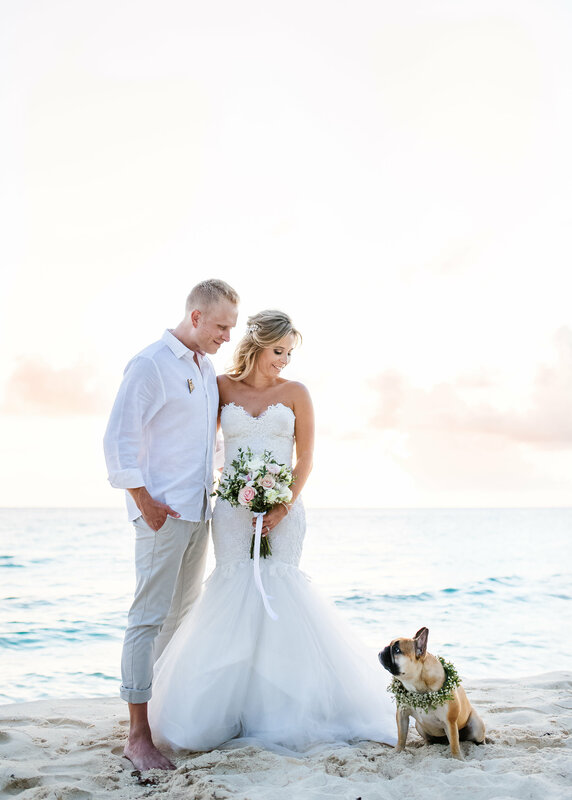 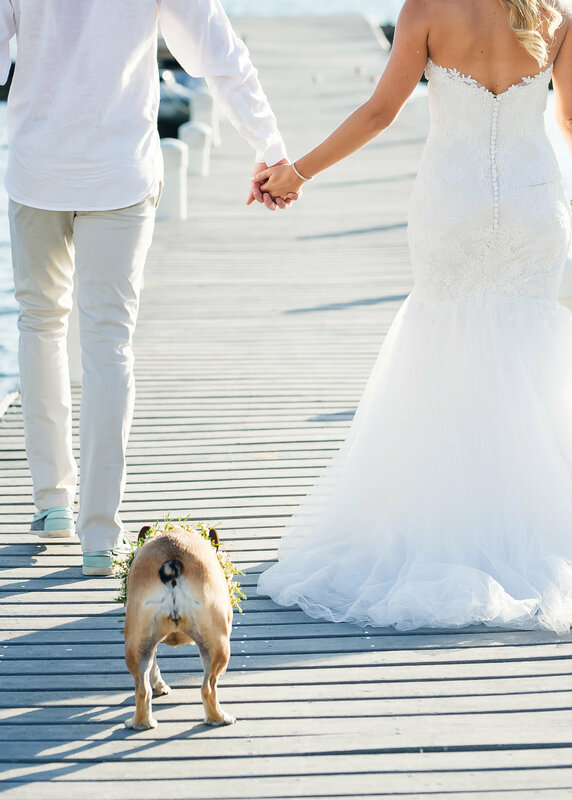 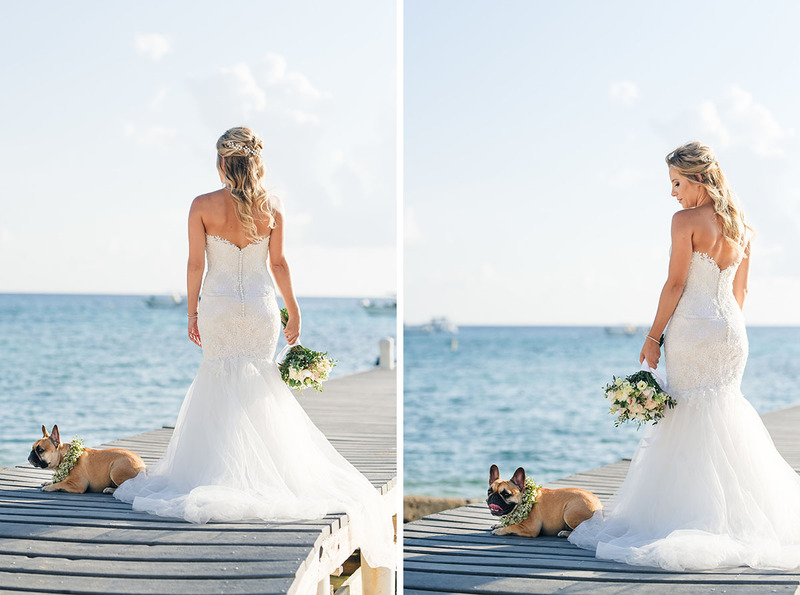 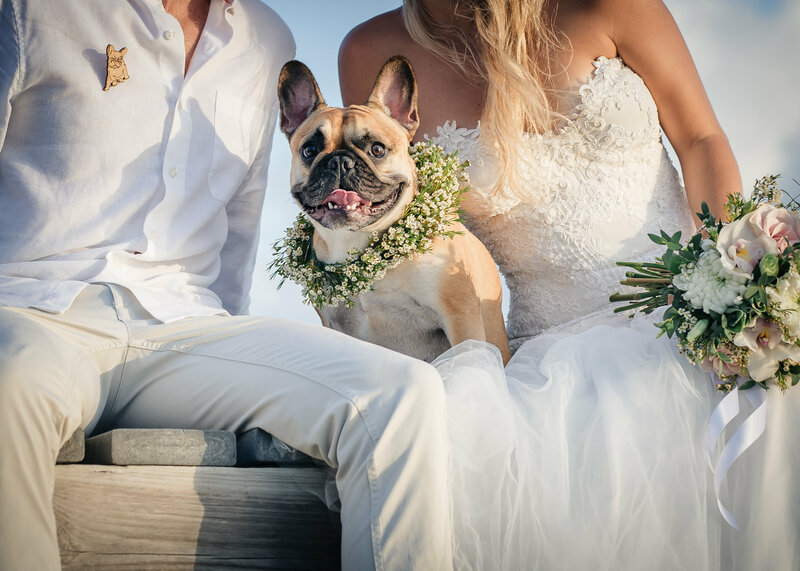 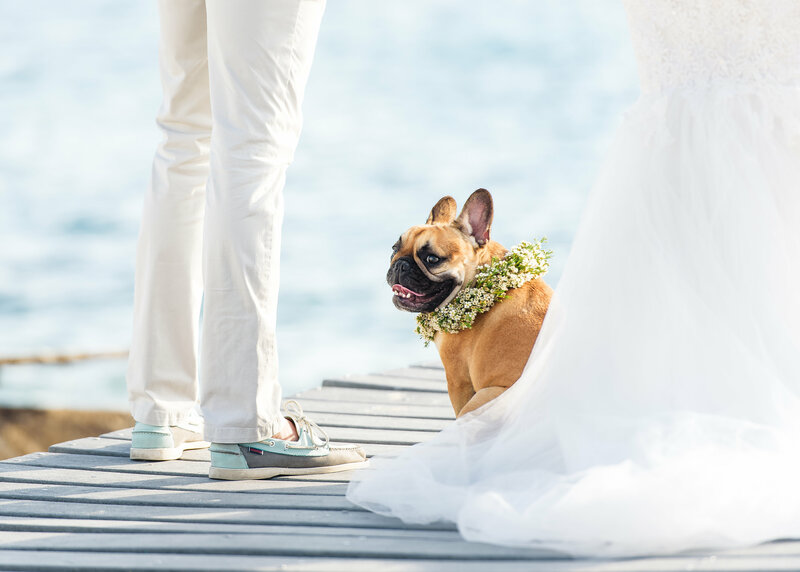 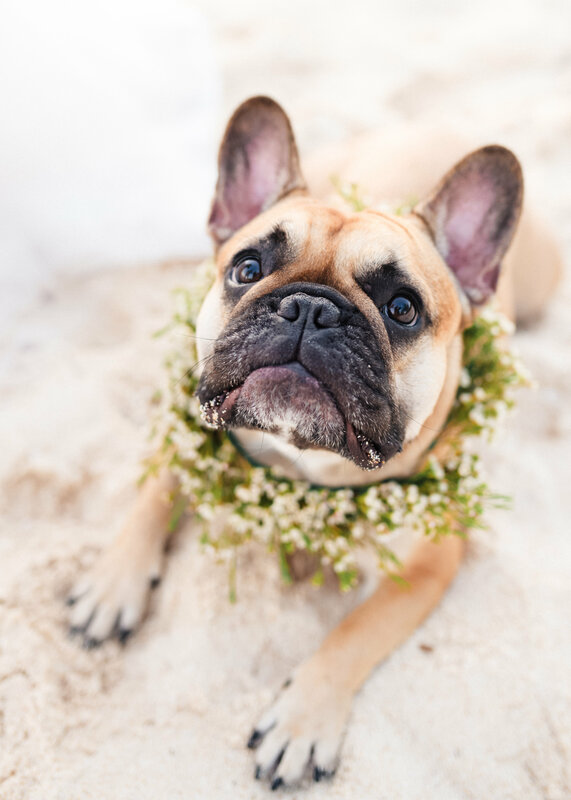 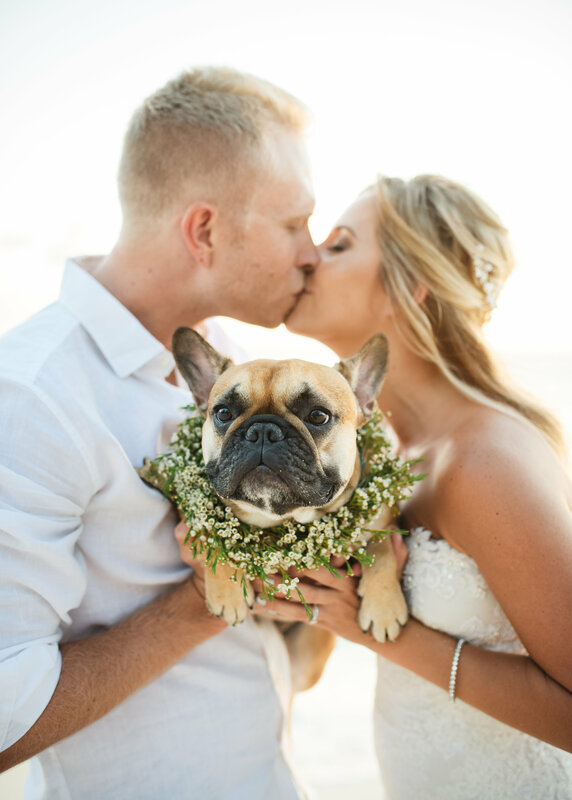 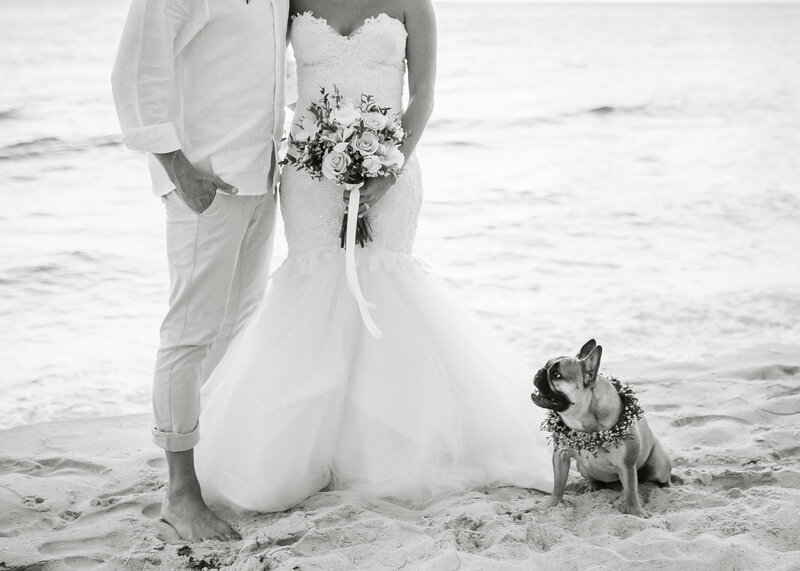 It was important to the couple to do a shoot here after their wedding so that they could include their home away from home, and also their sweet girl Poppy! 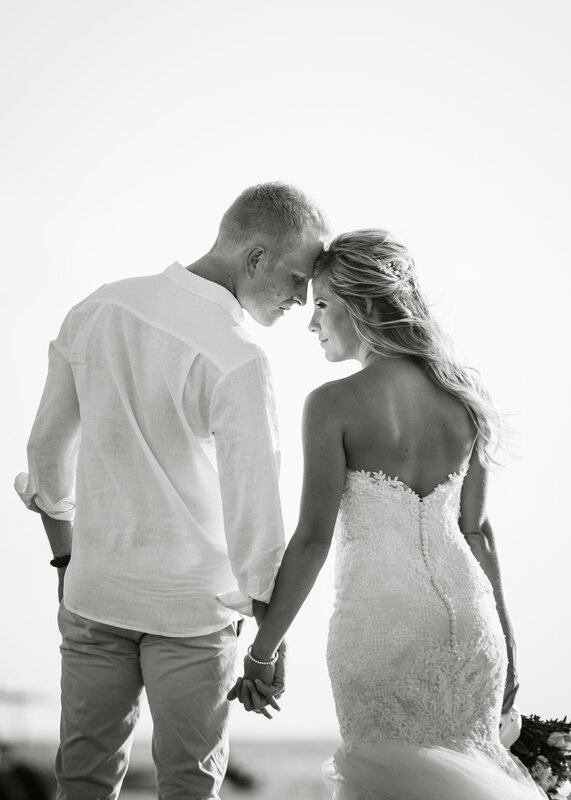 What an amazing session we had! 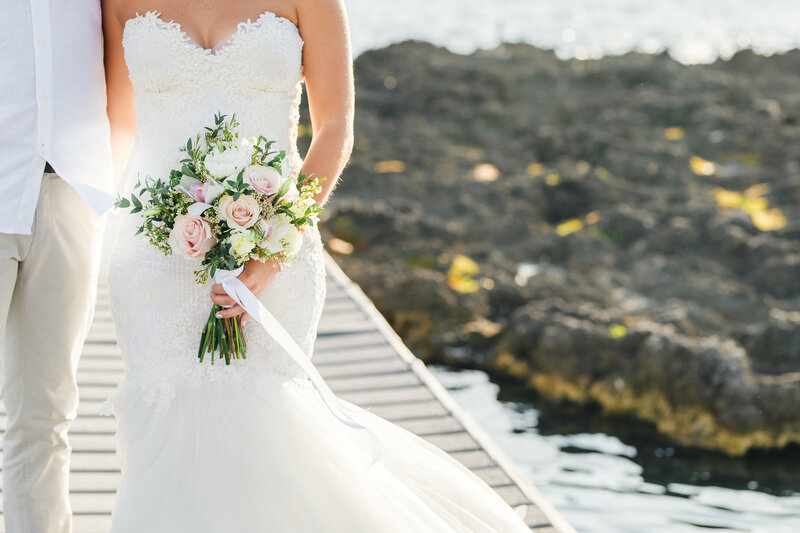 And for all of you brides out there, nothing is better than getting to wear your dress twice!! 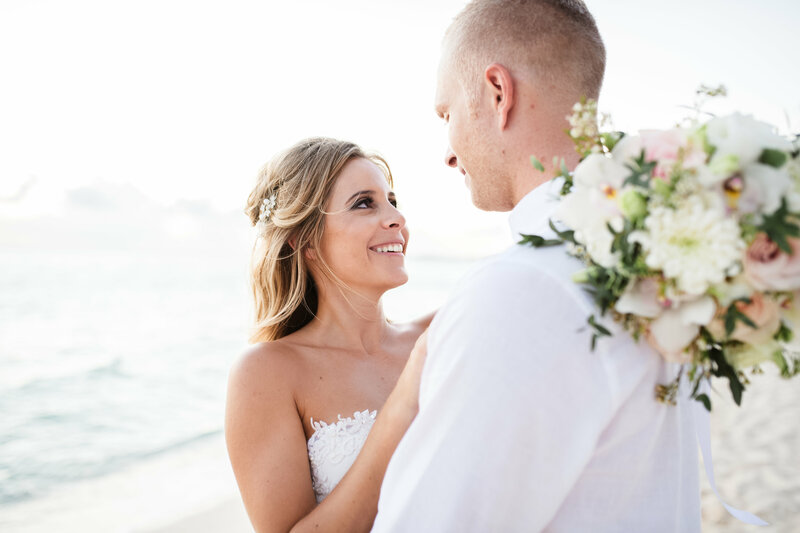 Sessions after the wedding are one of my favorites as it allows the couple to relax, have some fun, and to get creative! 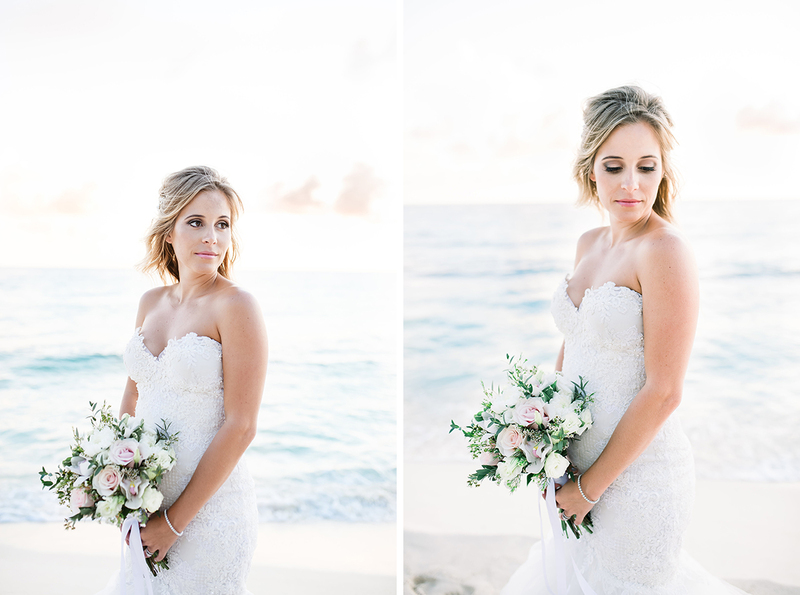 Enjoy the images below and some more from the bride! 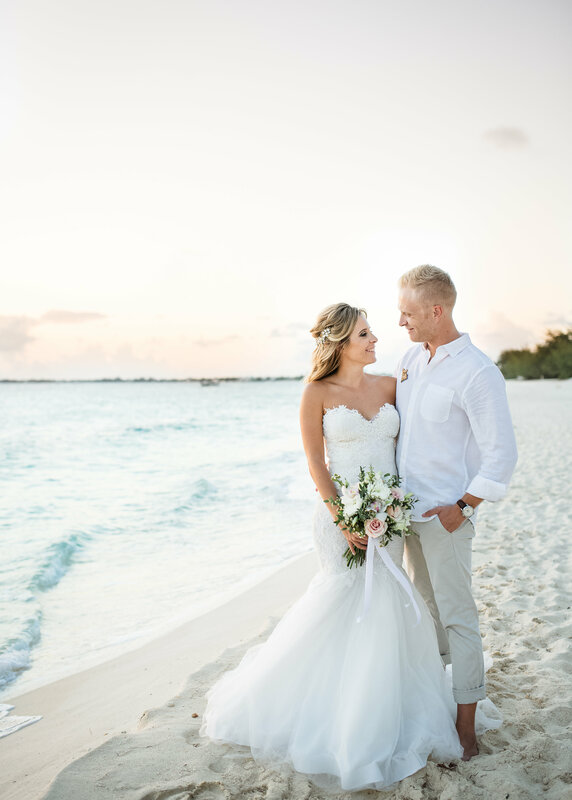 Why did you want to do another shoot after your wedding? 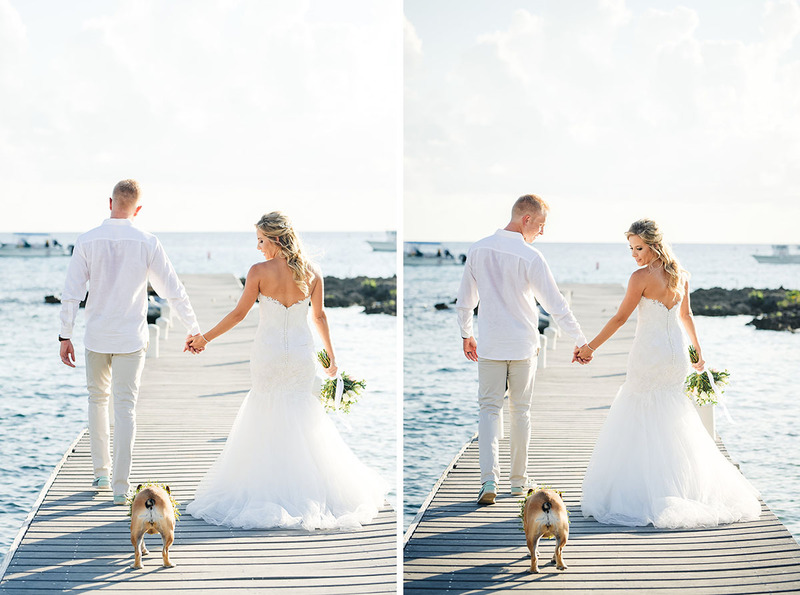 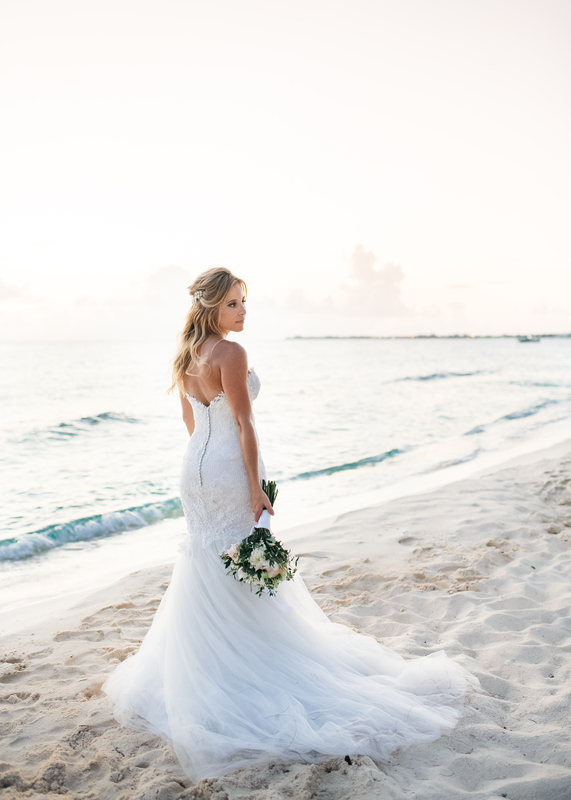 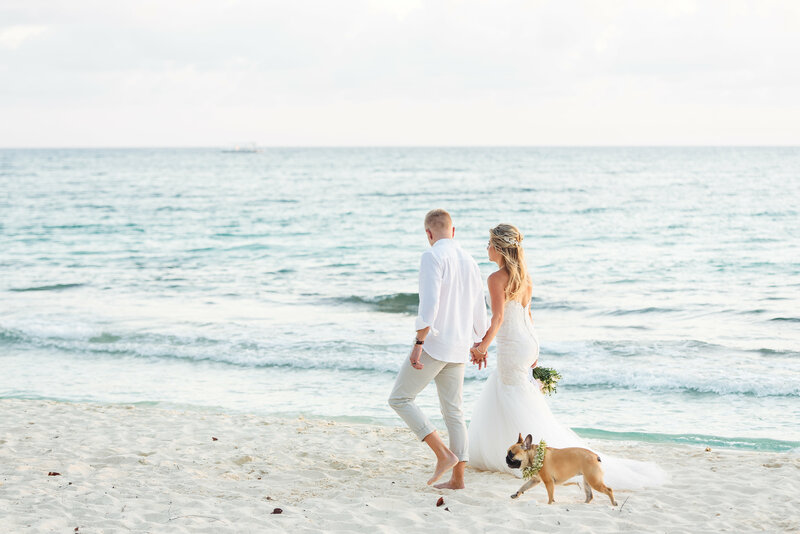 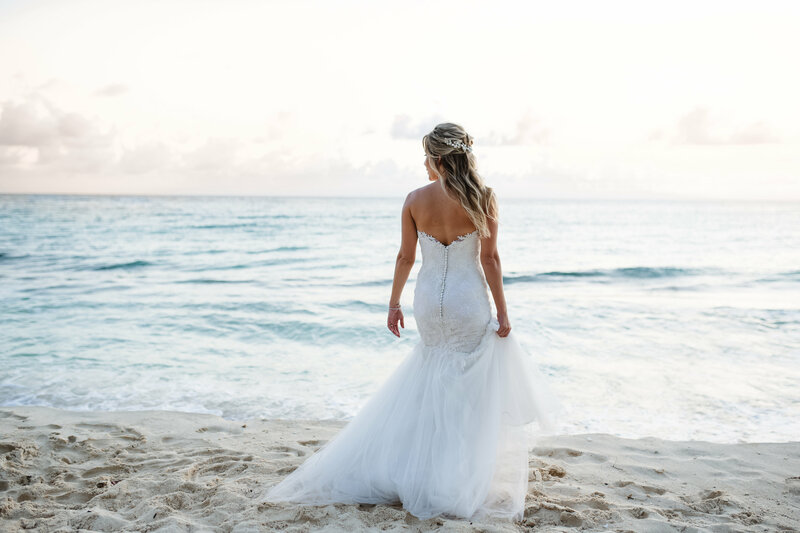 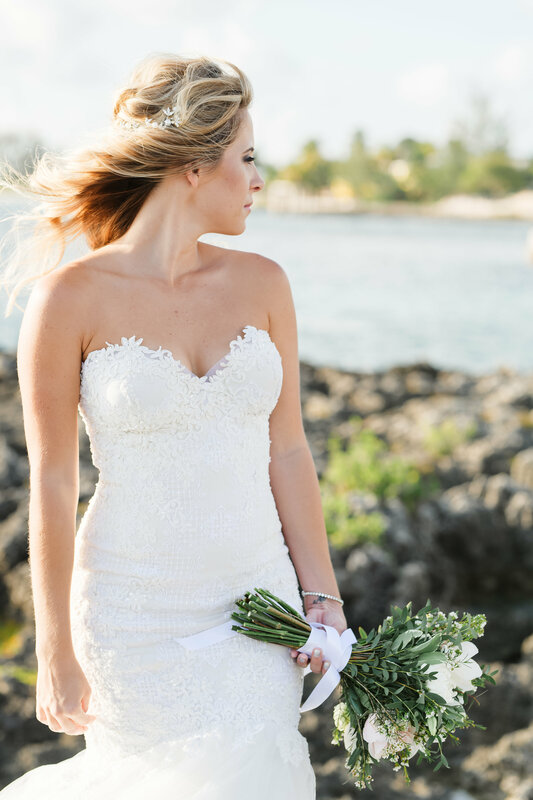 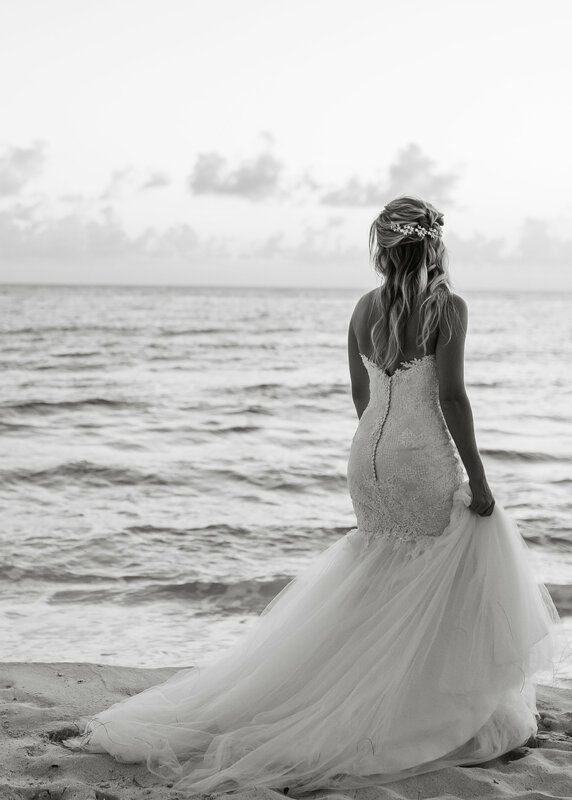 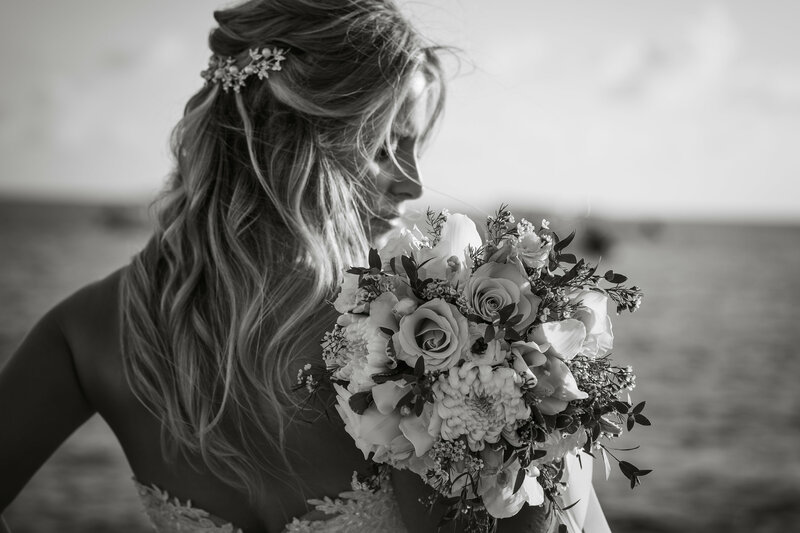 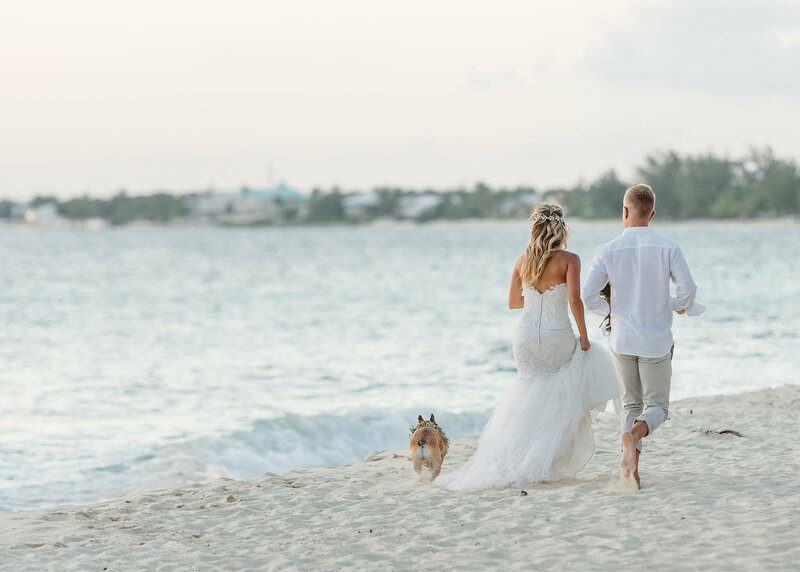 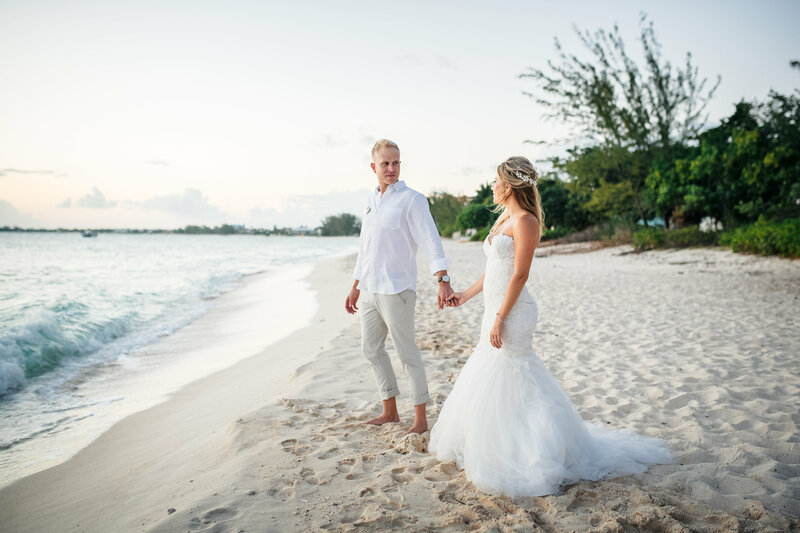 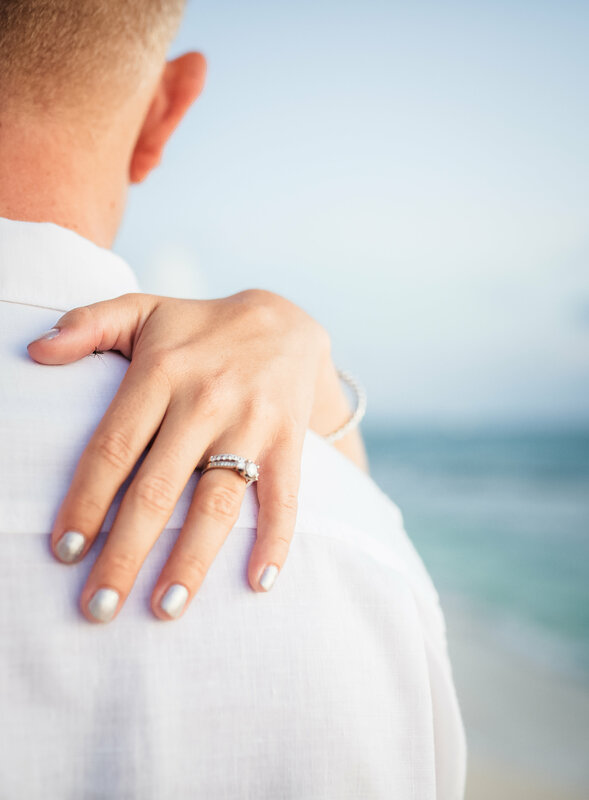 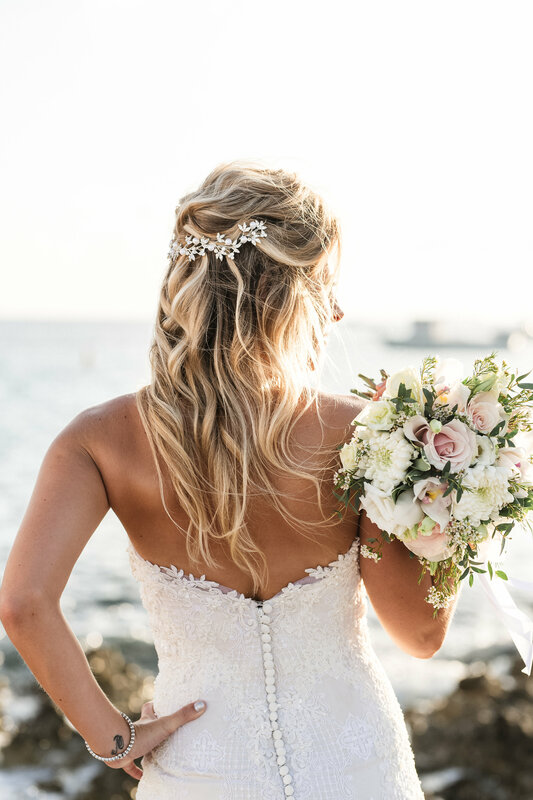 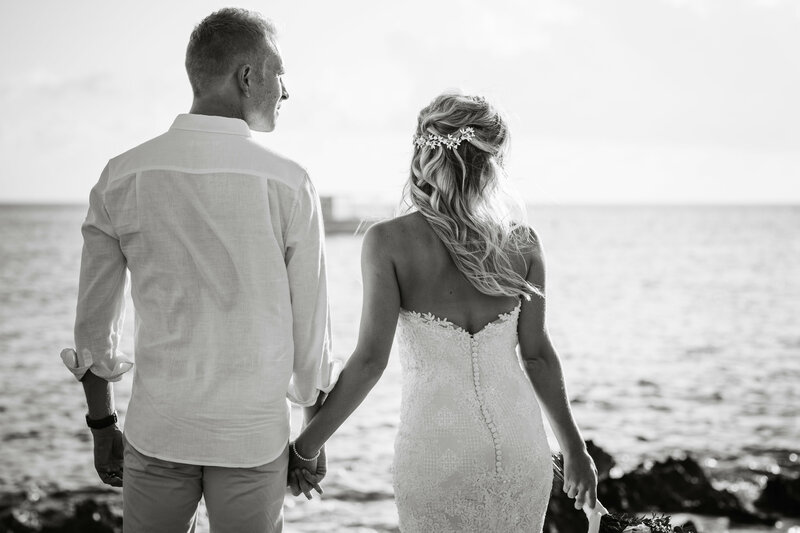 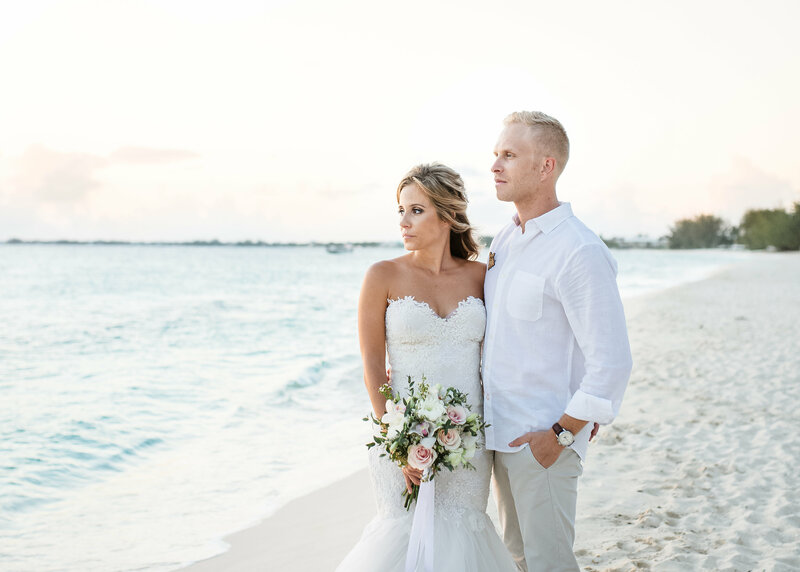 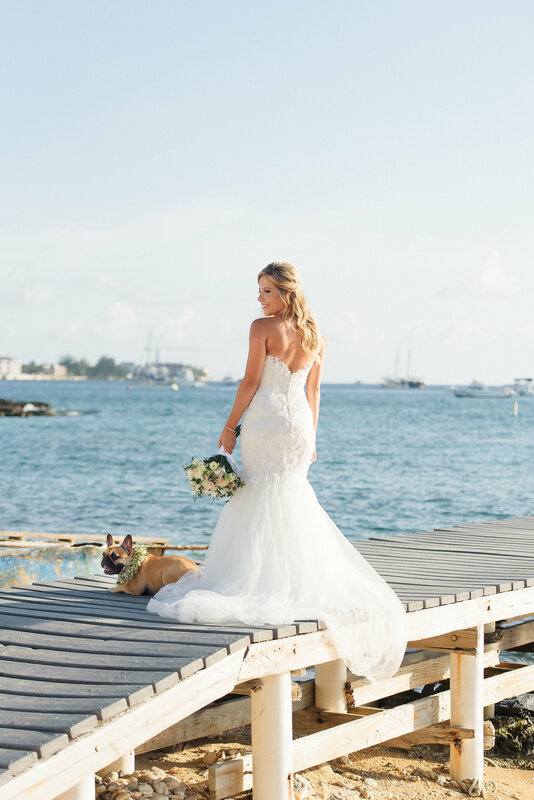 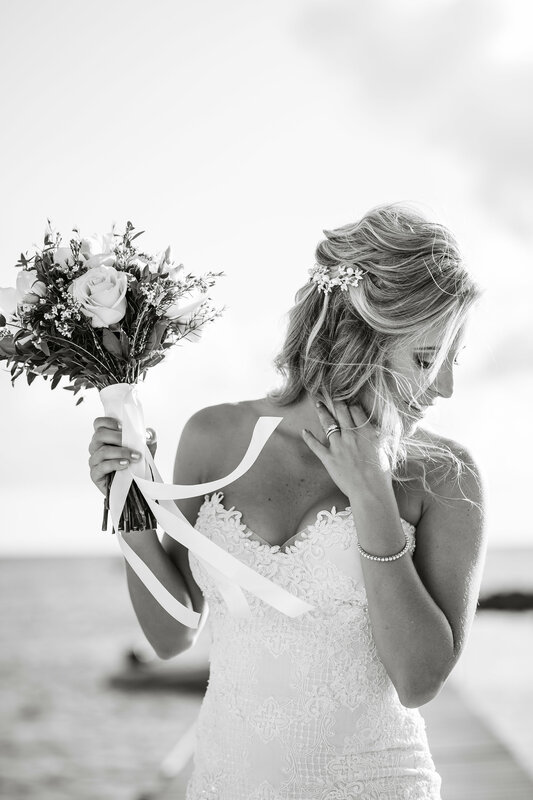 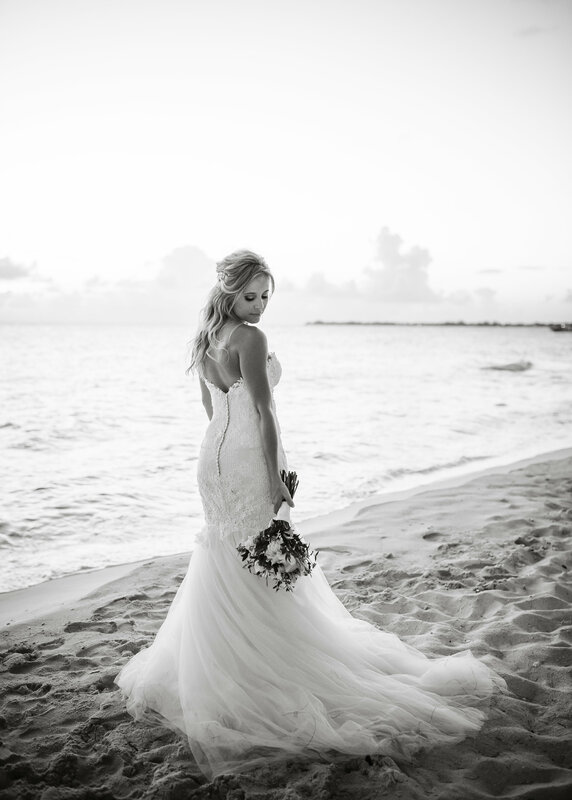 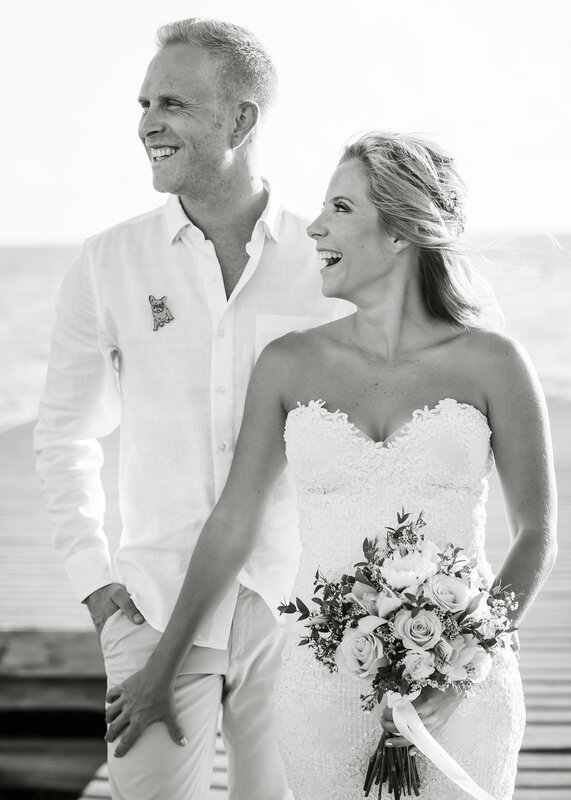 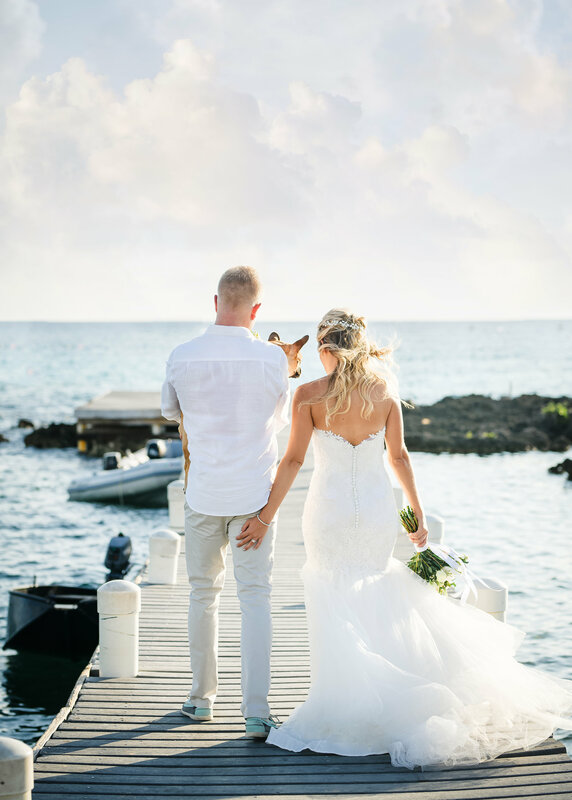 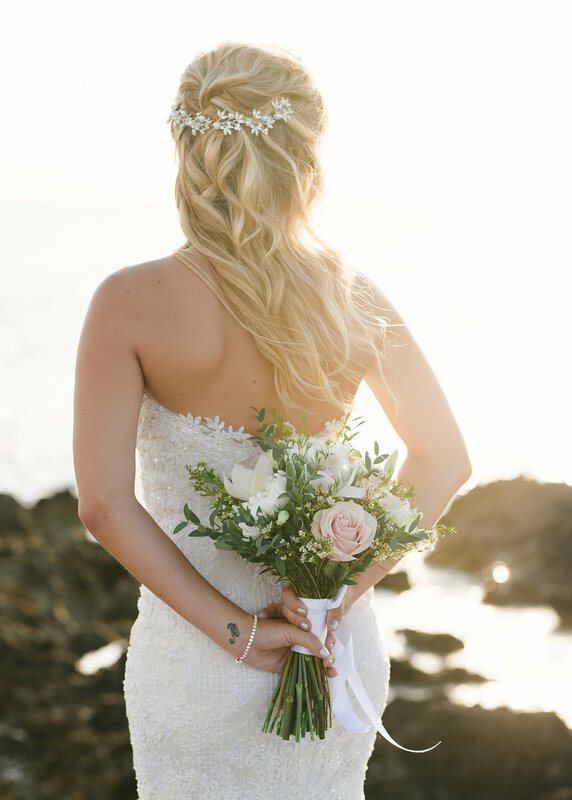 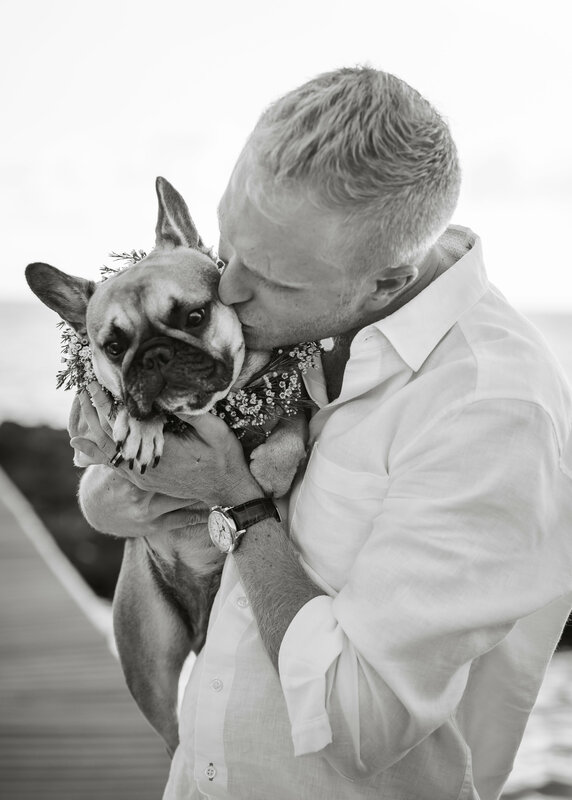 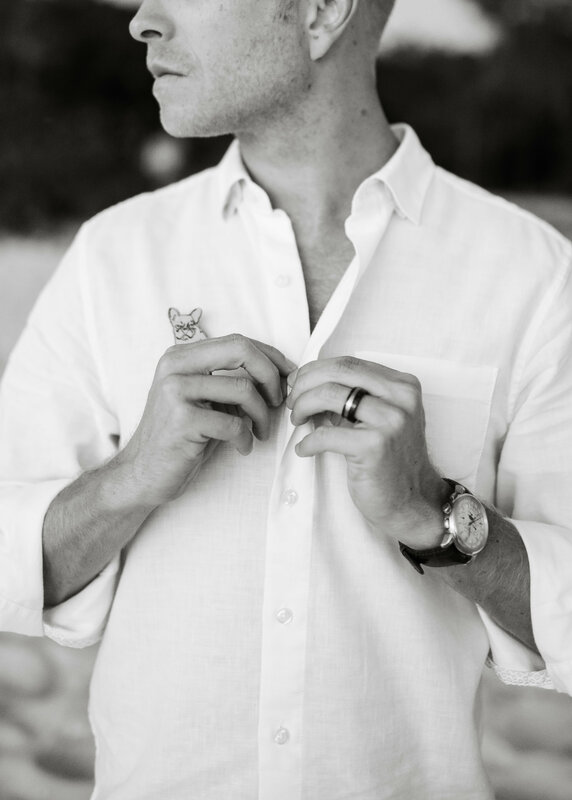 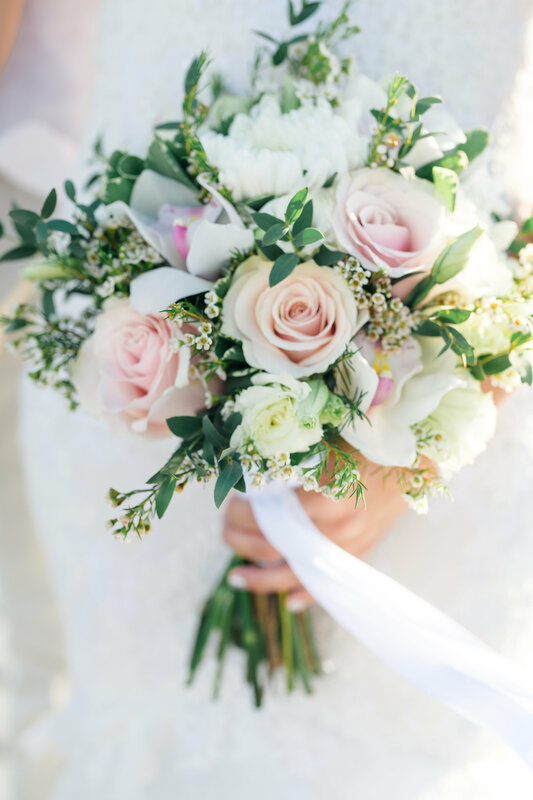 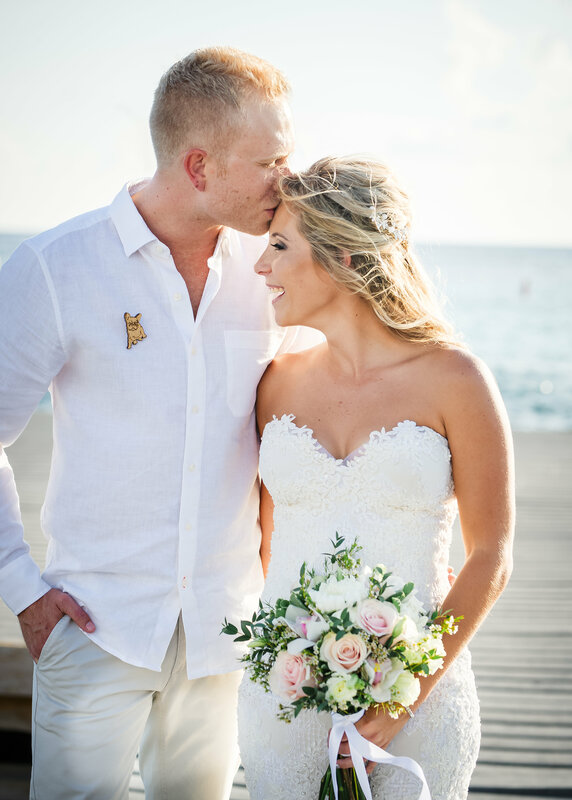 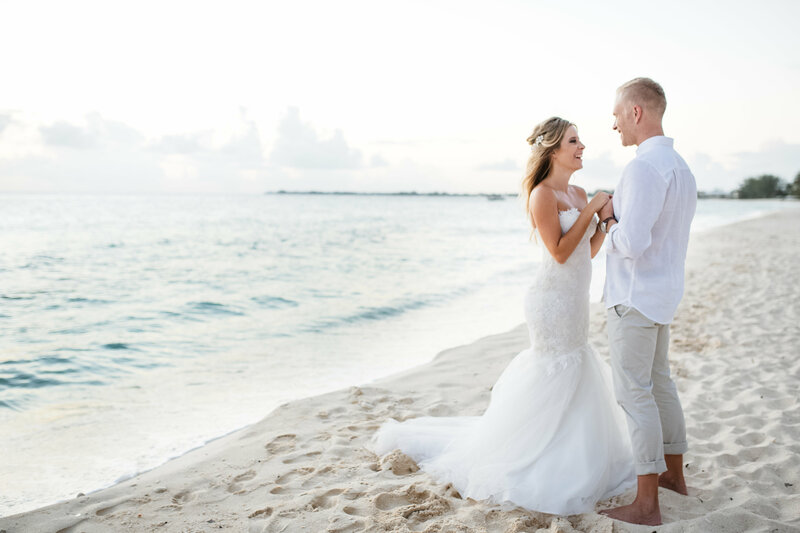 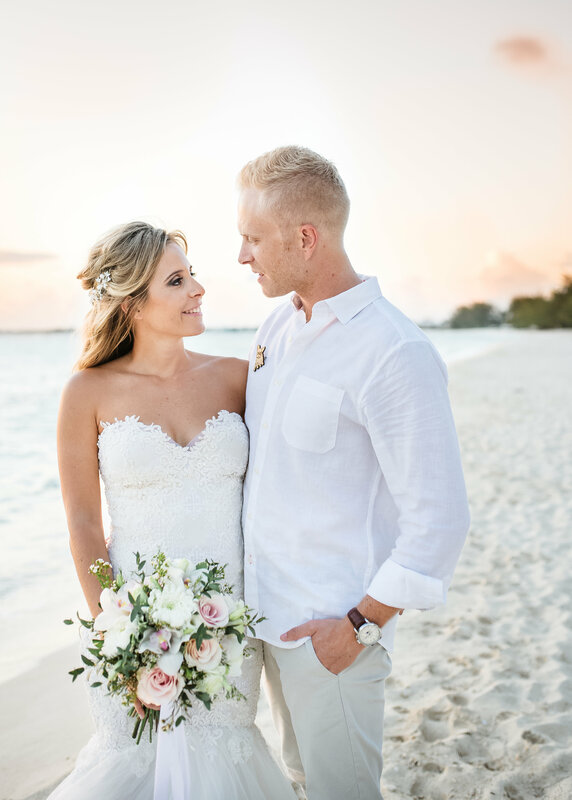 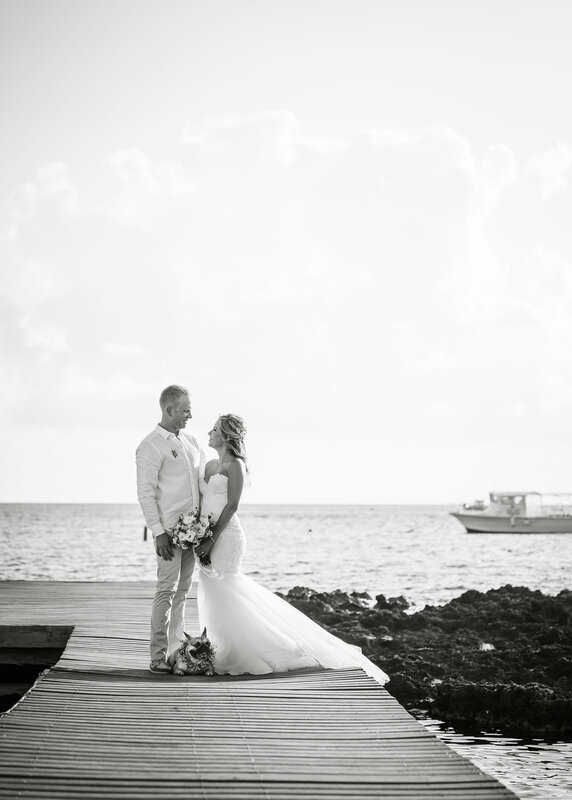 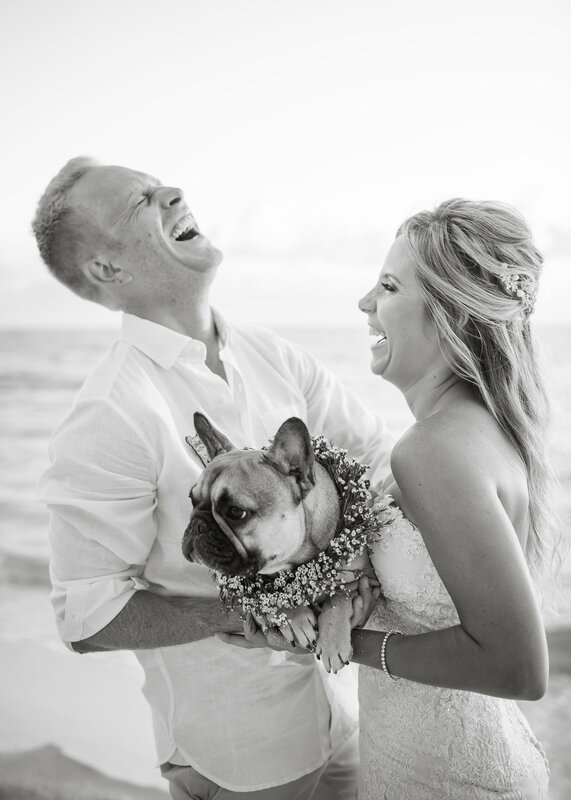 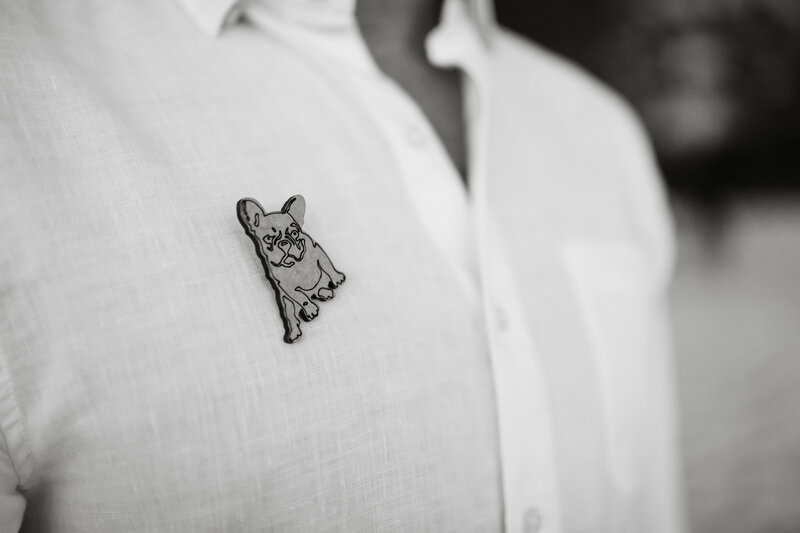 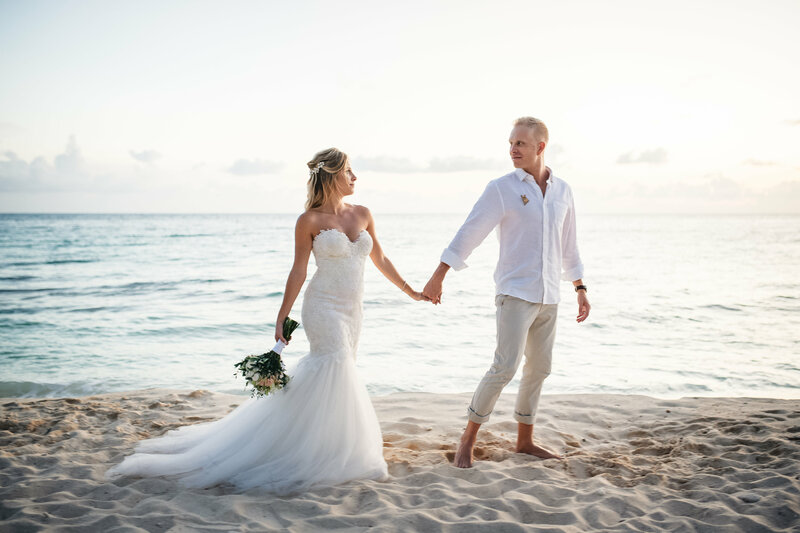 Having gotten married back home, in South Africa, we really wanted to have Cayman feature in our wedding pictures, as its played such an important part in our relationship over the past four years. 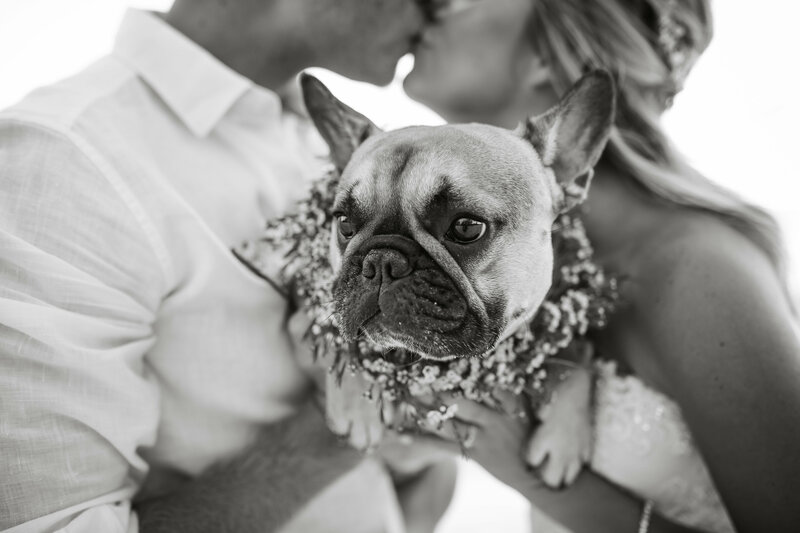 The main reason being that we wanted our little baby, Poppy, in our wedding pics as, lets be honest, she makes them – little model!! 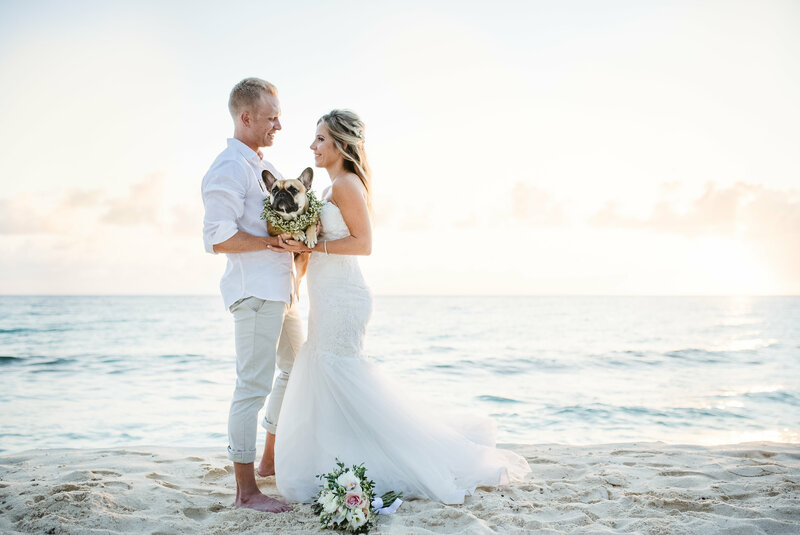 Having had Jenna take our engagement photos we knew she would do an incredible job and asked her to please capture these incredible memories for us. 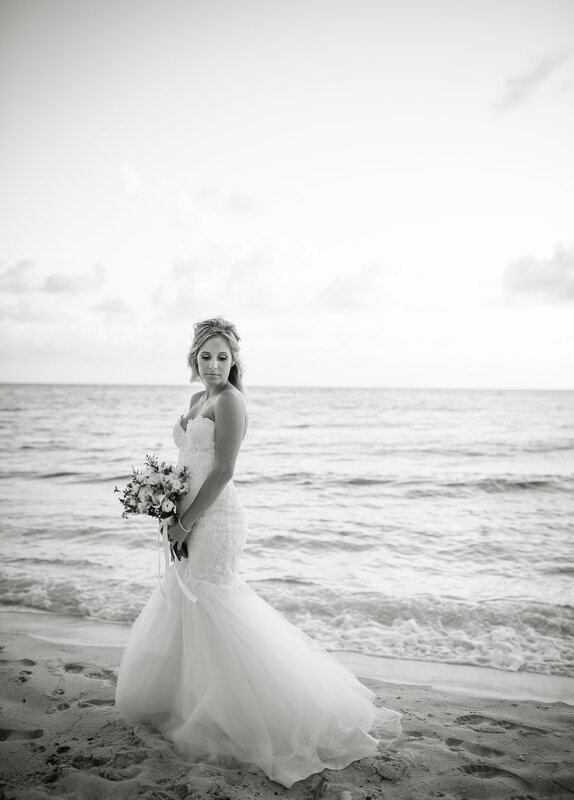 How was your experience shooting with Jenna? 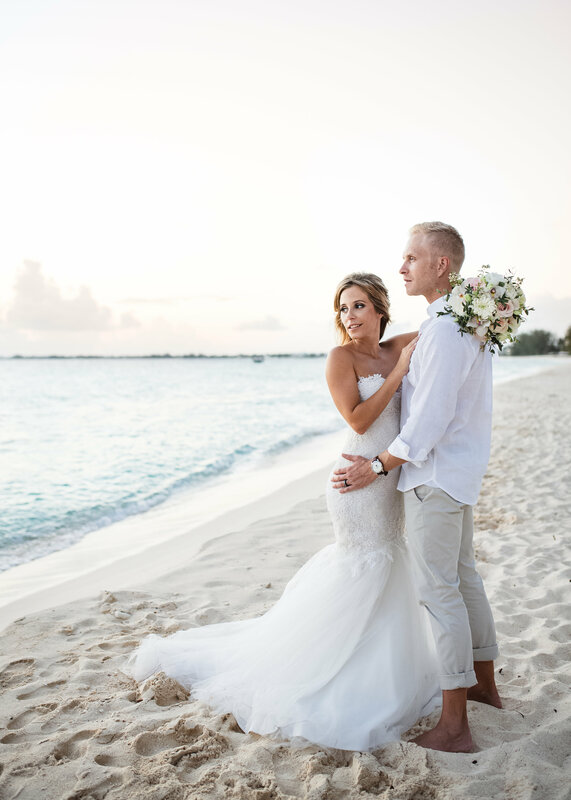 I don’t even know where to begin or put into words how incredible Jenna is!! 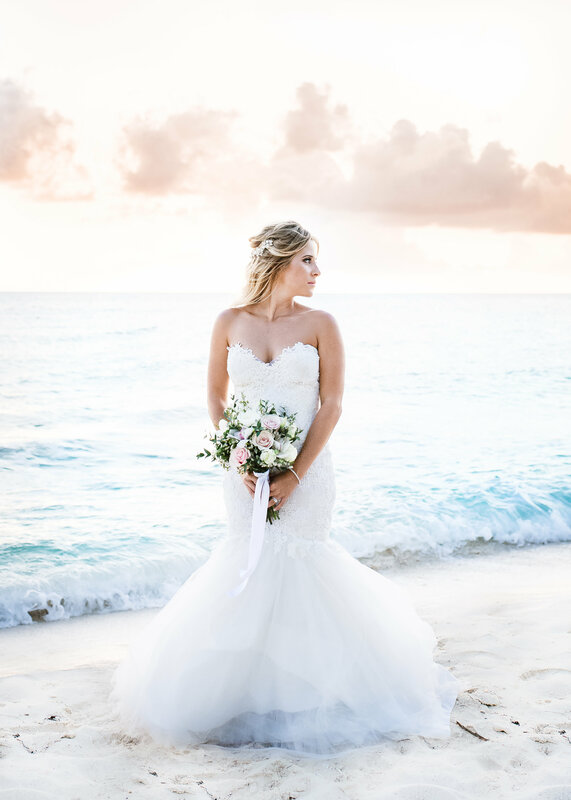 She is an absolute dream to work with… Jenna just has such a calming and relaxed way about her that never once did we feel uncomfortable or awkward while shooting, she gives a lot of direction (which is what both of us needed). 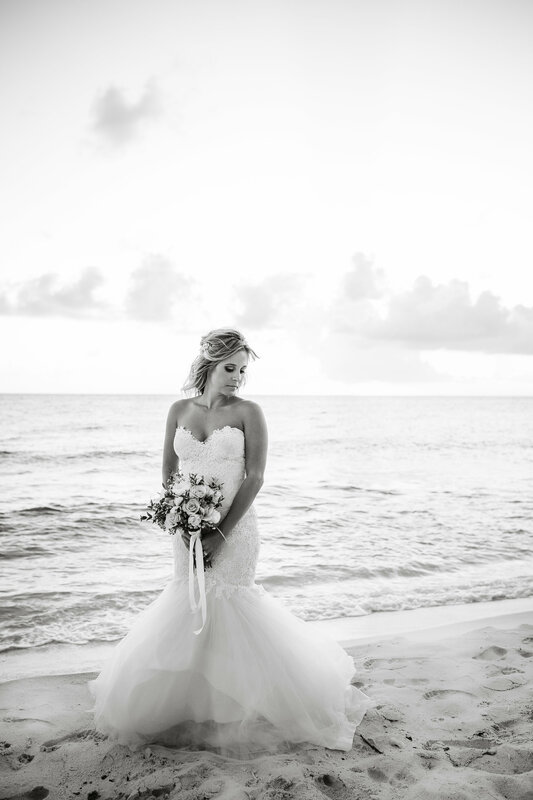 Jenna is always open to any suggestions or ideas you may have in order to get those perfect shots. 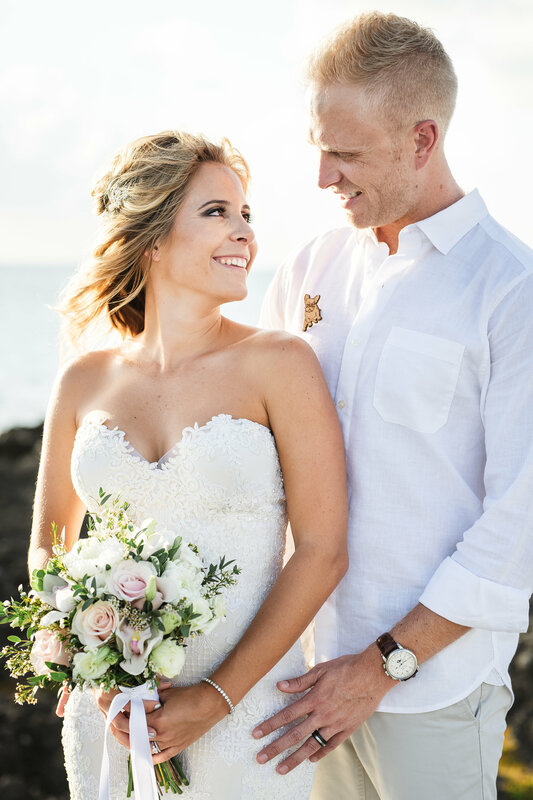 Jenna is incredibly talented and passionate and that definitely shows through in the phenomenal pictures she has captured for us. 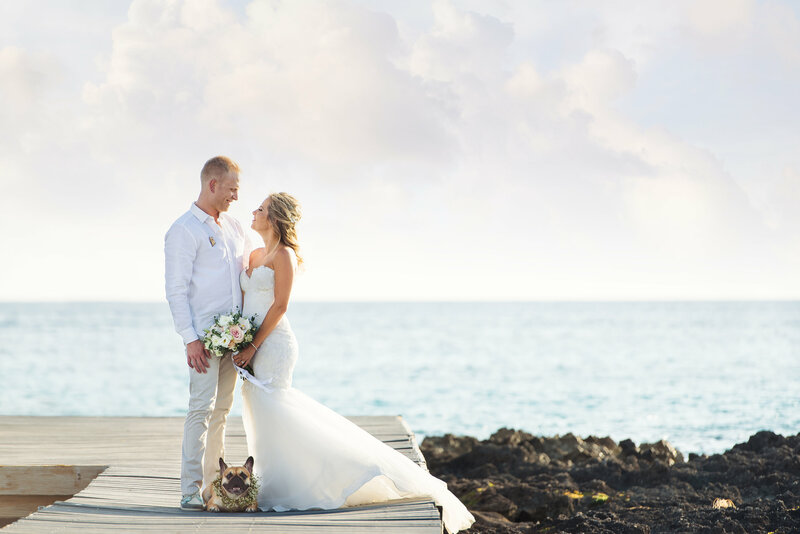 We are beyond thrilled and would never chose anyone else to capture important life events in the future – other than Jenna! 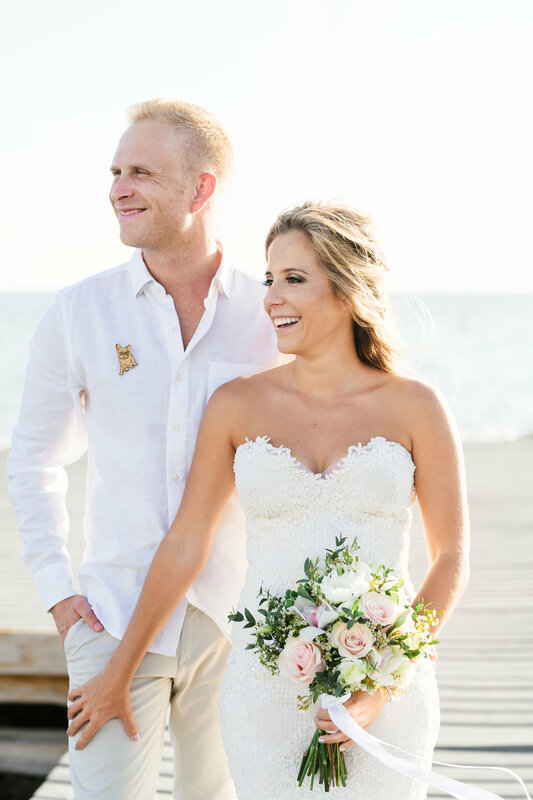 Any advice for anyone getting married and having their photos taken? 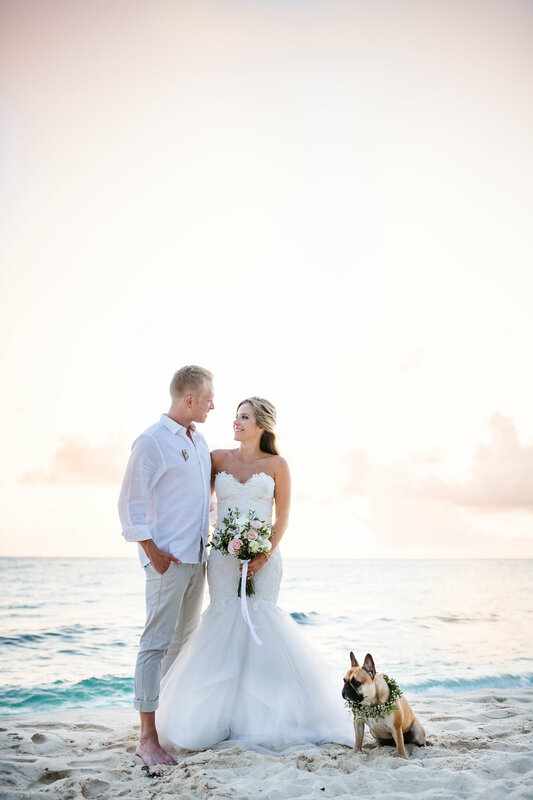 I would really recommend doing an engagement shoot. 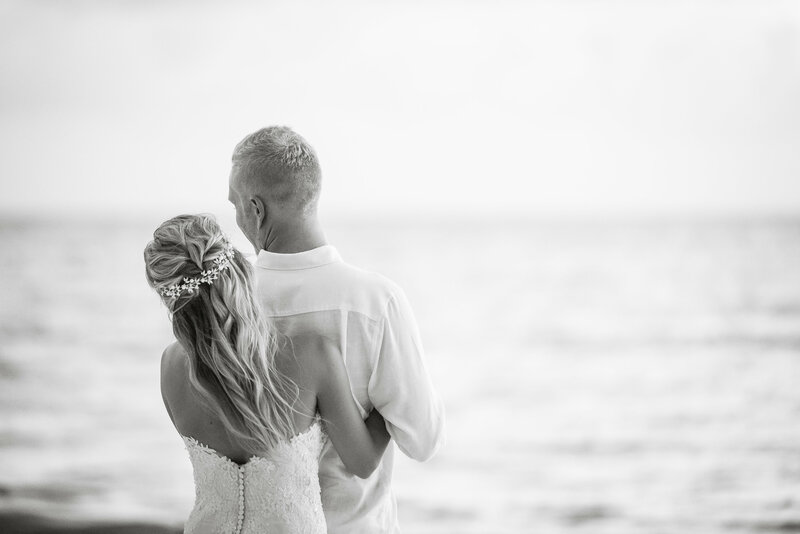 It really helped us to calm our nerves and know what to expect on our wedding day. 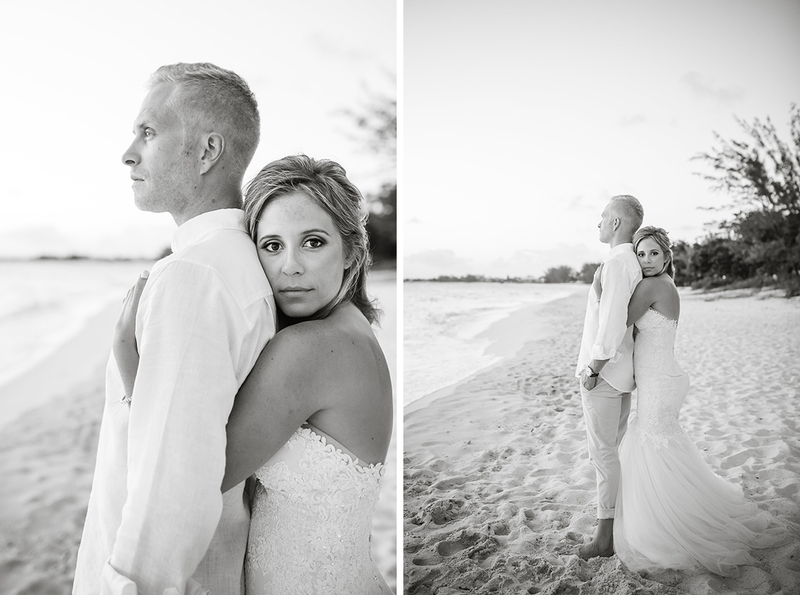 We felt a lot more comfortable and at ease having our pictures taken the second time around. 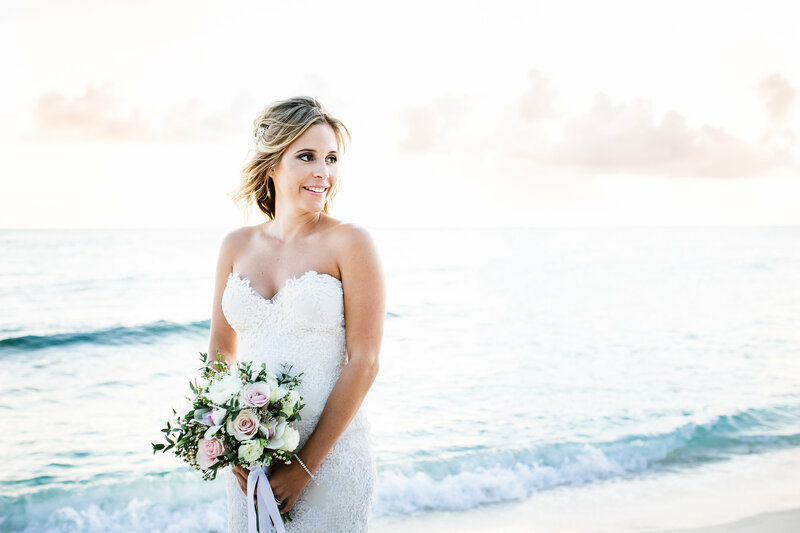 Make sure you pick a photographer who’s work you have seen or possibly even worked with before and are 100% happy with their style of photography. 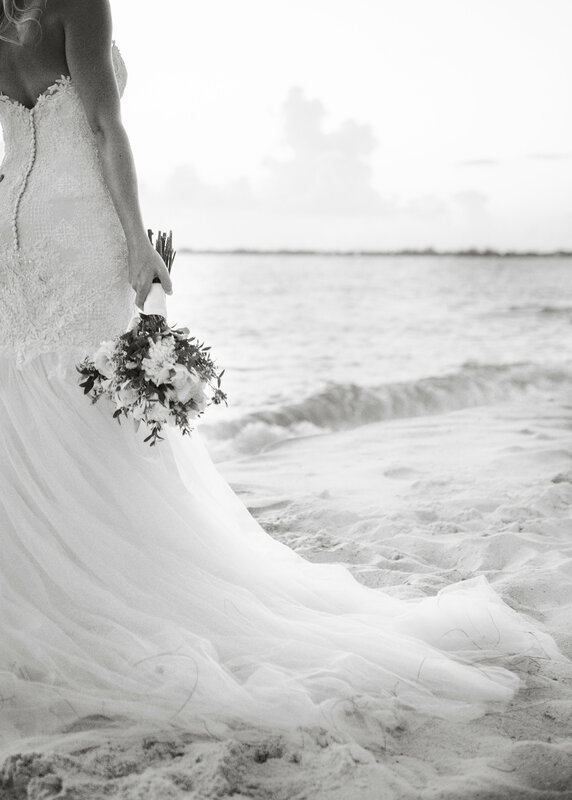 Lastly, just enjoy the moment and make sure you get the pictures you always dreamt of.